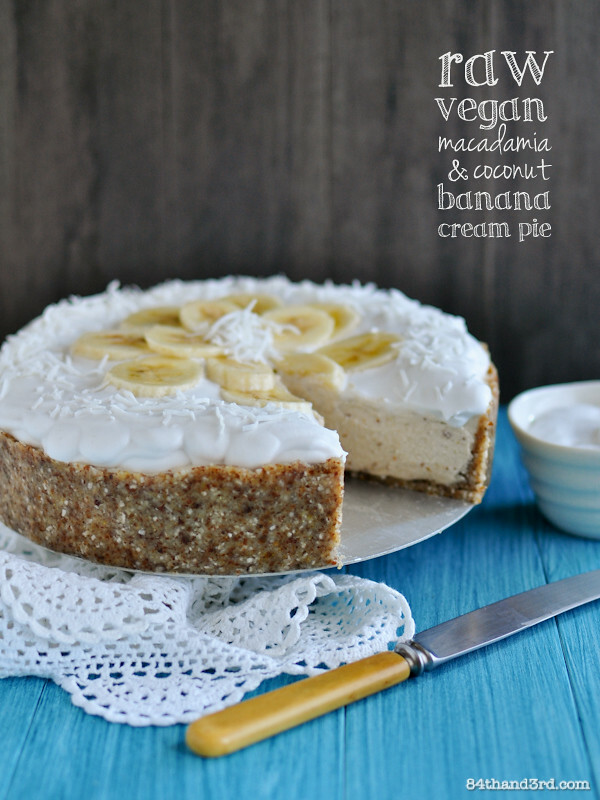 The full royal moniker of this creation is Raw Vegan Macadamia & Coconut Banana Cream Pie, but in the interest of daily conversation, a shortened version was necessary for public appearances. Yeah, I just compared Price William Arthur Philip Louis Windsor – aka Wills – to a Banana Cream Pie, it happens. And honestly, this luscious creation should be the future king of Pie-land, so it works. In any case, few months back I discovered that Banana Cream Pie is apparently the favourite dessert of one of my favourite uncles. Alas, he is no longer allowed to eat pretty much anything in the traditional version, so of course my mind has been ticking over ever since. The May Sweet Adventures Blog Hop ‘Raw’ theme was the perfect opportunity to flex my invention muscles and whip up a version that pretty much anyone can eat. Good lord it is good. In the past I’ve used cashews to create a Raw Vegan Cheesecake so this time figured I’d give it a twist and use buttery Australian Macadamias instead. Macadamias have been a regular visitor round these parts, appearing in everything from an Aussie-Nutella to Sour Cherry Cake to Vegan Chocolate Fudge, so it wasn’t too big a leap to make them into a cream pie filling. I love it when a plan comes together. Oh, I must mention my top macadamia eating tip… salt. Kind of like with chocolate, a pinch of sea salt on the raw nuts completely transforms them and makes the flavour pop brilliantly, try it some time. Oh, don’t miss the Raw Macadamia & Salted Caramel Pie Crust recipe, and then go make this pie. 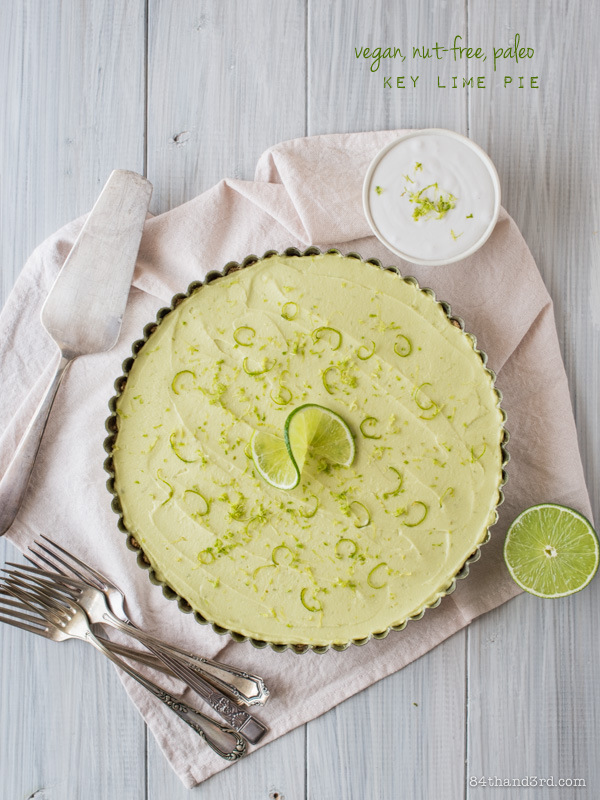 This creamy pie is entirely dairy, soy, gluten and refined sugar free, but stunningly delicious. It is banana cream in its simplest form but you could certainly add chocolate, berries or even passionfruit for a fun twist. Prepare Raw Salted Caramel Macadamia Pie Crust or any other crust you prefer and press at least 1.5 inches [4 cm] up side of a lined 8 inch [20 cm] removable-base tin. Refrigerated until needed. Remove stems from figs and pits from dates, soak in warm water 15 mins, drain. Blitz macadamia nuts to a rough paste. Add coconut oil, blend to a smooth paste. Add figs/dates, blend until very smooth. Add lemon juice and one banana, blend smooth. Add milks, vanilla and salt, blend until well combined. Slice two bananas on an angle. Layer banana slices, half of filling, banana slices, remaining filling and smooth top. 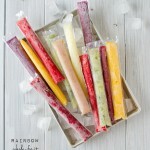 Refrigerate 2 hours or freeze 1 hour. 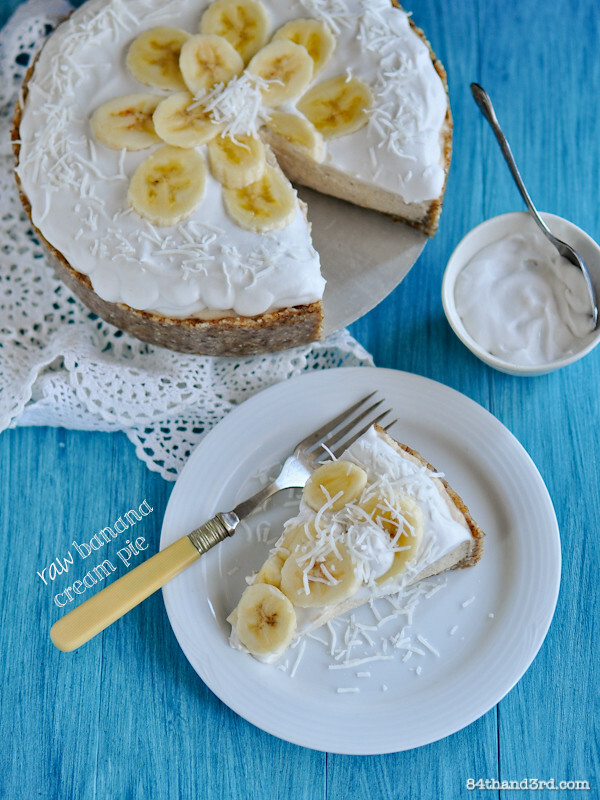 Slice half a banana on an angle, place on top of pie leaving a border around the edge, top with half the whipped coconut cream and smooth to cover slices. Refrigerate further 2 hours or overnight. Decorate top with additional sliced banana, remaining whipped coconut cream and shredded coconut if desired. Keep refrigerated until ready to serve. If you are not on a raw diet feel free to use a baked pie crust of your choice. This recipe used to instruct you to soak about a third of the macadamias but I prefer it without soaking them at all as macs don’t soften like other nuts when soaked. Yes, you could replace the macadamias with cashews that have been soaked 4 hours and drained. In theory you could use something else like almonds or walnuts but will need to soak them for at least 12 hours and the filling may not be as smooth. The development of this recipe was sponsored by Australian Macadamias. As always any opinions, random facts, and ingredient obsessions are all mine. Set cans in refrigerator overnight or longer. Remove lid, gently scoop thick cream into a bowl leaving all coconut water in the can. Reserve water for another use. Whip cream and salt with a whisk for a minute or two. Refrigerate a further 20 mins and whisk again until it begins to thicken. Drizzle in rice syrup and whisk to desired consistency. If it firms up too much whisk in a bit of the reserved coconut water. 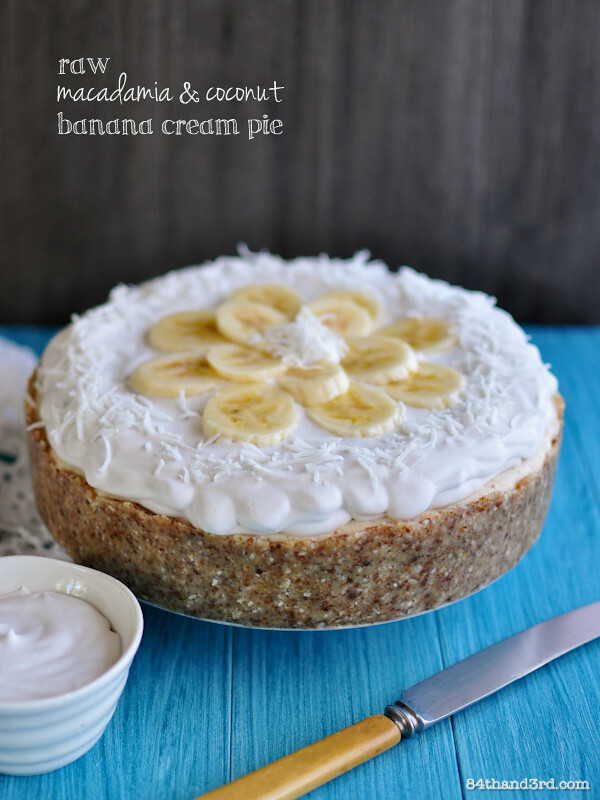 Use to top Raw Banana Cream Pie, or pretty much anything else for that matter. Ingredients of coconut cream should be coconut and guar gum, nothing else. Guar gum is a plant-based thickening agent and I’ve discovered it is the reason that coconut cream whips. 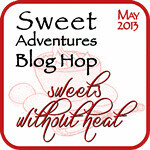 This post is part of the May Sweet Adventures Blog Hop – Sweets without Heat (RAW) – hosted by Nic of Dining with a Stud. Make sure to check out all the other RAW creations that have been linked-up below! Wows this looks absolutely stunning! I am looking forward to that delicious sounding crust recipe! Oh coconut cream! I adore it 🙂 I need to give this pie a shot. I love macadamias, bananas, coconut – ugh who am I kidding, everything!!! 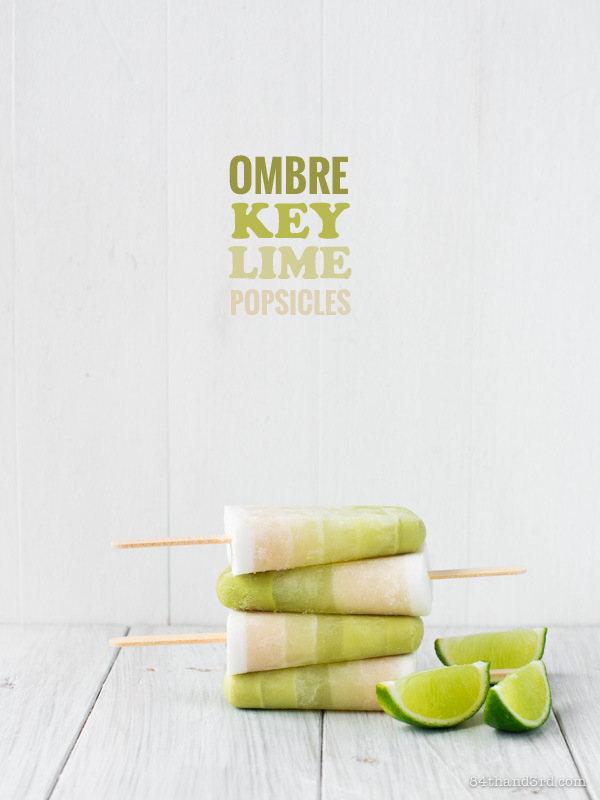 Sounds so tropical with the use of coconut cream! this sounds indulgent and delciious to me, cant believe its vegan too! 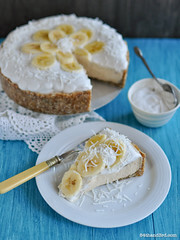 Love all the tropical ingredients in this raw banana cream pie and the whipped coconut cream delicious. I am loving the look of this! You got me at all the tropical ingredients JJ! And don’t get me talking about macadamias. My girls love that stuff! WOW. Now, that’s a raw dessert! I knew you would come up with something fabulous for this theme. This looks so incredibly delicious! I’ve had mixed results with making coconut whipped cream – do you think maybe it’s the brand I’m buying? Thanks and yes, definitely. I’ve found a few that work really well and some that don’t work at all! The organic ones with ‘guar gum’ tend to be the best as the gum helps it froth. Keep trying them till you find a good one. Simply freeze any leftover milk/cream to use later when it doesn’t work. I don’t know how I missed yet another hop! The recipe I posted on Friday would have been perfect! This looks a-ma-zing JJ. So so good. That looks incredibly awesome. You really are starting to sway me to try these amazing healthier versions you do. I love your buttery macadamia crust! I love the tropical flavors here! And that pie looks divine. LOVE it!! and it’s Paleo too! I’ve printed it out to make very soon. Thank you JJ! That is one spectacular looking pie JJ! Oh I hope you do try it! Stunning photos! And you would never guess that it was raw and healthy! This will definitely be in my dreams tonight! Looks amazing, do you think you could sub in walnuts (there are so many cheap walnuts about right now)? Man I really just want to dig right in. I love the reason you developed this recipe and the look of it! Oh JJ this looks amazing. PS macadamia is my favourite type of nut. We’re planting one at our new house. your own Mac tree – brilliant! Um whoa, look at that layer of crazy deliciousness! Banana in pie isn’t usually my thang, but I’ll take this any day! yei! 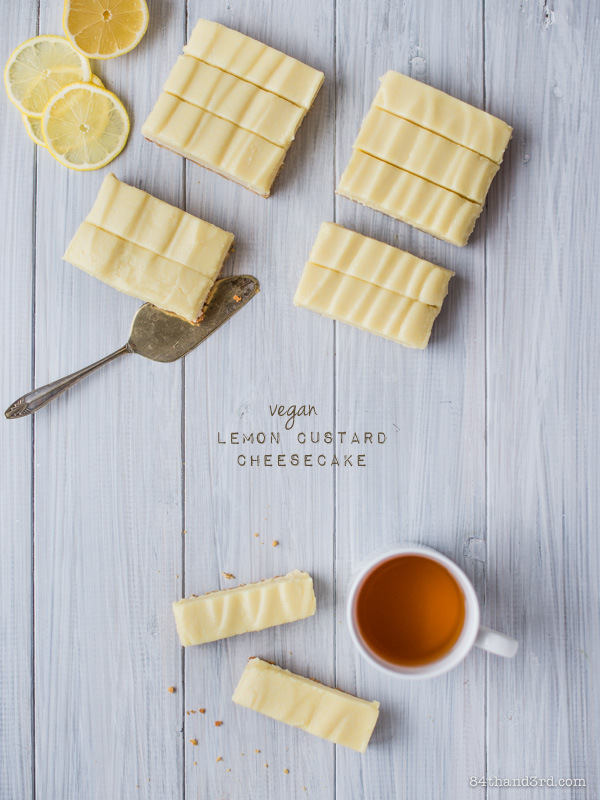 I love finding vegan and raw dessert recipes online! I´m not a big fan of banana pie but this one looks incredibly! I’ve been wanting to make a raw vegan dessert for the summer and am definitely going to try this one!! Thanks for posting! I just tried this recipe, but it didn’t work out too well. I followed the instructions explicitly but the result was a macadamia nut pie… The macadamia flavor was overwhelming and it had too much of a lemon flavor. I could barely taste the banana. should I alter the amount of macadamia used in the filling? finally something with out raw honey, agave and dates. like the figs idea! Hello, I may have missed it. What is the total amount that I need of guar gum? Hi Shannan, guar gum isn’t an ingredient (per-say) in either of these recipes, but to get coconut cream to whip it helps to buy an organic one that has guar gum listed as an ingredient. I’m so excited to make this for an upcoming party. Do you have any tips for making ahead and freezing? Yum. This sounds good. Wonder if we can use something else aside from bananas. Hum, based on the fact that it’s a banana cream pie I’m going to go with no, but you’re free to use any fruit you wish. Hi Jenni, I use Ayam (straight, not light) coconut cream and coconut milk for pretty much everything as I think it is one of the best tasting ones out there and they don’t add any thickeners or fillers. I get it from Woolies. Your pie looks to die for 🙂 I will be making it. However I am not a fan of the nut you are using. May i substitute almonds for it? This will be my second raw pie Ive made this month. I’m loving raw pies right now. For the coconut milk in the filling, do you use canned? Also what kind of rice or nut milk do you use that is raw? Do you make it yourself? Do you think I could I just do 1 cup of coconut milk instead of half nut milk? Thanks, I can’t wait to try it! I was really happy and exciting about making this pie for my friends birthday. Most pies stay in tack if you leave them out of the refrigerator, but this pie completely fell apart. I followed the directions very precise. I would have and others would have enjoyed this pie if it didn’t go flat on me. I was so sad and disappointed about the texture. I guess that’s what happens when you make a no bake pie. Even if it fell apart the flavor was great. I just wish the texture was more firm. In following directions to this aesthetically appearing pie, I had high expectations to bring to Easter dinner; however, the upfront flavor is either TOO salty or TOO strong in mac nuts! Yikes! Will be making alternative dessert. Hi Julie, sorry to hear it didn’t work out for you – from your description I would guess that you may have used salted raw macs instead of just raw macs, therefore starting out with far more salt than called for in the recipe. It’s possible that the nut milk you used may have added salt as well depending on the brand. As for the flavour being ‘too strong in Mac nuts’ as they are the base of the pie that isn’t surprising, as noted in the recipe the macs (or a portion of them) can be subbed for cashews. Hope your alternative dessert tuned out. Hi there! This recipe looks delicious, but I actually stumbled across it because I saw your chocolate cake recipe that was split into four layers had chocolate whipped coconut cream between each layer. I assume this might be a small modification of the whipped coconut cream in this recipe – could you please tell me how?! Thanks.